​Hoppa is available in two colours: peach and white, with silver skeleton. 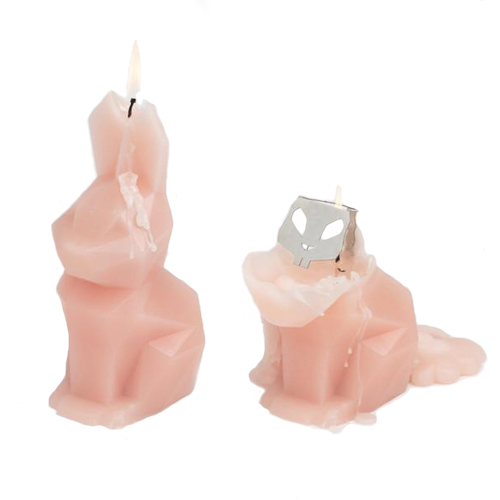 The dimensions of a Hoppa candle are: 6.7 x 2.7 x 3.9 Inches (17 x 7 x 10 cm). Each candle should have a burning time of approximately 16 hours. Materials: Paraffin wax, cotton wick and aluminium.